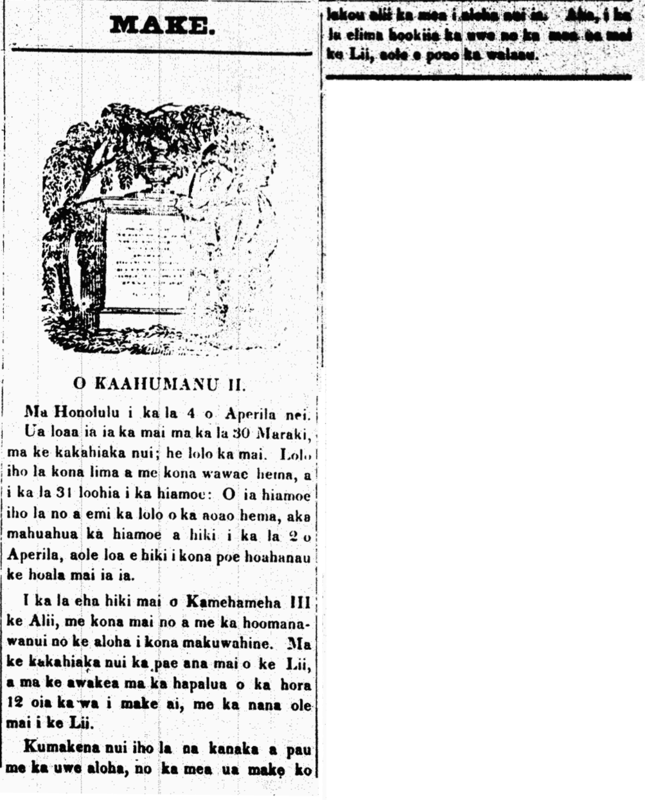 Death of Kaahumanu II, Kinau, 1839. At Honolulu on the 4th of this April. 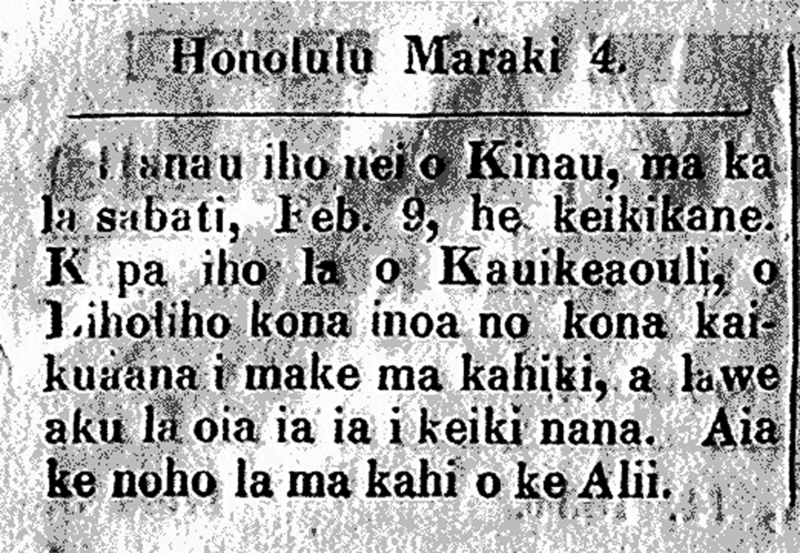 Kinau, Kaahumanu II, dies, 1839. In Honolulu, on the 4th of April. She became sick from the 30th of March, early in the morning; it was a paralysis. She was numb in her left hand and leg, and on the 31st, she fell into a sleep: This was a sleep where the paralysis on her left side subsided, but her slumbering grew, until the 2nd of April when her fellow brethren could not wake her. On the fourth, Kamehameha III, the King, arrived although he was sick, enduring this for his love for his “mother” [makuahine]. The King landed early in the morning, and at miday, at half past 12, that is when she died, without seeing the King. Everyone is in mourning, and cry with aloha, because their alii has died, the one that was greatly loved. But on the fifth, the crying was ceased because of the illness of the King; talking loudly is not good. Ke Kumu Hawaii, Buke 4, Pepa 23, Aoao 92. Aperila 10, 1839.